﻿ Fanta Suite Villa, Da Nang | FROM $25 - SAVE ON AGODA! "Convenient to access My Khe beach 5 minutes walk, near to re..."
"The room is perfect for couple and family as they have a small kitchenette in there." 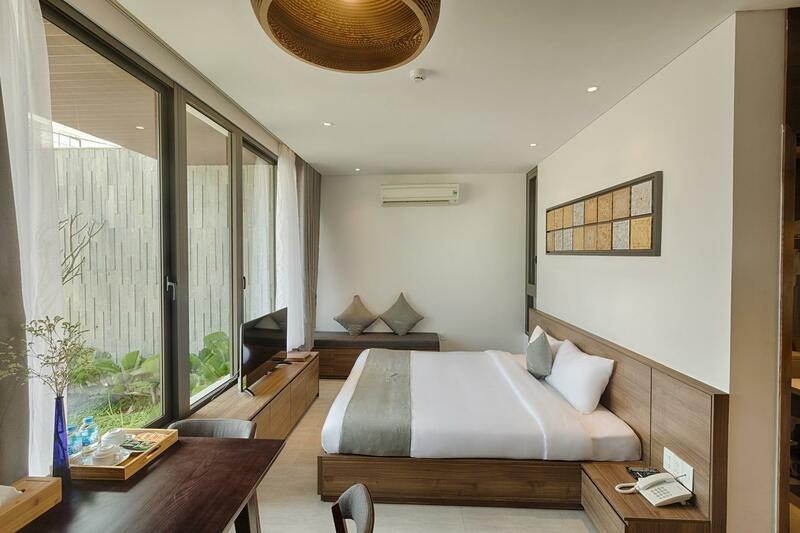 "The staffs are very friendly, and the whole villa is very be..."
Located in the lovely area of Phuoc My, Fanta Suite Villa enjoys a commanding position in the beaches, sightseeing, family fun hub of Da Nang. From here, guests can make the most of all that the lively city has to offer. With its convenient location, the property offers easy access to the city's must-see destinations. Every effort is made to make guests feel comfortable. To do so, the property provides the best in services and amenities. Top features of the property include free Wi-Fi in all rooms, 24-hour security, convenience store, daily housekeeping, gift/souvenir shop. Experience high quality room facilities during your stay here. 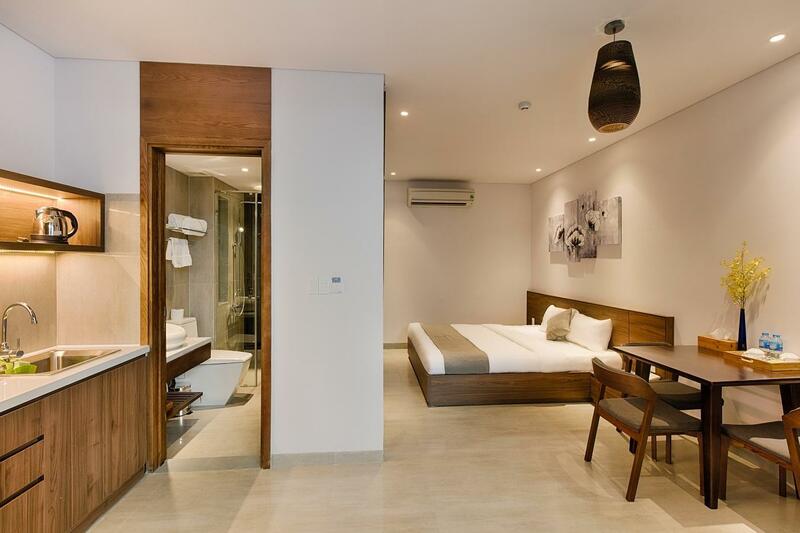 Some rooms include closet, complimentary tea, towels, clothes rack, slippers to help guests recharge after a long day. The property's host of recreational offerings ensures you have plenty to do during your stay. 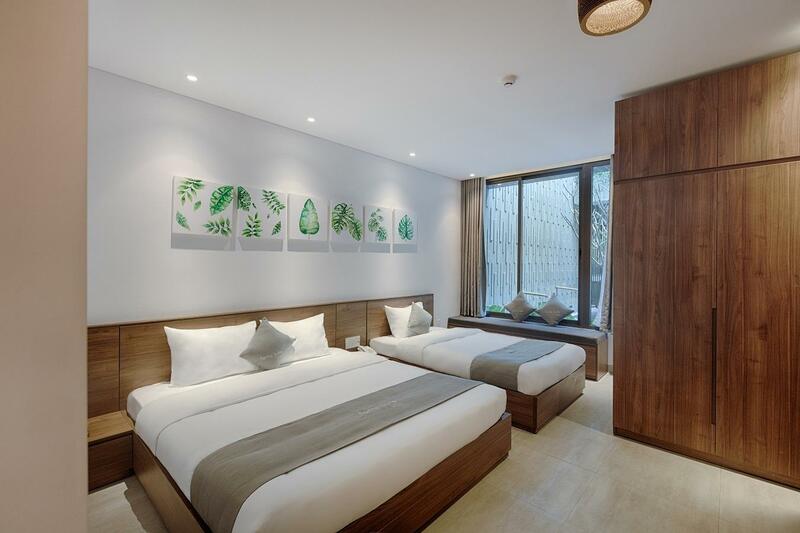 Fanta Suite Villa is an ideal place of stay for travelers seeking charm, comfort, and convenience in Da Nang. "Hotel staff is helpful and friendly." I booked garden view but ended is just facing the street, the floor is very dirty, no slipper provided, i have to specially request it . The aircon was leaking water and caused my luggage all wet up, requested to change room but ended no update from the receiptionist. Worst is my own towel has been taken by the housekeeper and lost, requested to return to me but ended up no update as well. Strongly not recommended. Excellent service Very calm and relaxing, wish could stay longer. Breakfast served in room. Everything was awesome. Thank you . Reasonable price on most crowded season. Easy to go around to enjoy esp. visiting Linh Ung Pagoda, Pham Van Dong beach. Room like a home. Undoubtedly this place is nice if you are looking for a cool place to relax however December is not the best time to go there. It is rainy season in Danang and it is even worst in Bana Hills. It is completely foggy. You won't see any nice view. It is just completely white all over. No choice for good value for food. So if you are planning to stay there, for each person, prepare to spend at least 200k per meal. The next option is the buffet which is more expensive. BBQ and even local Vietnamese food is also deadly expensive compared to what you can eat in the city. We booked 2 nights in Bana Hills this December and most of the time, we only stayed in the amusement park. The cable car supposed to give you a view of the nature but again, too foggy! Nothing to see here and you will be soaking wet. Not recommended for kids in December. Again, the place is not but avoid December. The room looks nice and new and clean. The staff was kind. BUT the room felt like a humid cave. It has no windows and the ventilation is so poor that the air was thick with mold and mildew. At first I thought it wasn’t so bad, however, as the night went on, i started feeling dizzy and short of breath. I felt like I was sleeping in a bed of wet bath towels because it was so humid and moldy. I’m sad to say this because the hotel’s design, staff and location are good....but don’t stay here if you care about your health. Except room smells with full of mosquitoes everything is ok. Very good service at reception, helpful bellboy, however dirt in washroom found right after check-in, house keeping needs to be improve. Convenient to access My Khe beach 5 minutes walk, near to restaurant. Hotel staff is helpful and friendly. Only one downside, the shower water tub are not enough hot. The bed was very firm. They only provided two pillows. The bathroom had a funky moldy smell. The Wi-Fi was slow. The breakfast was good. The location was within walking distance of the beach. 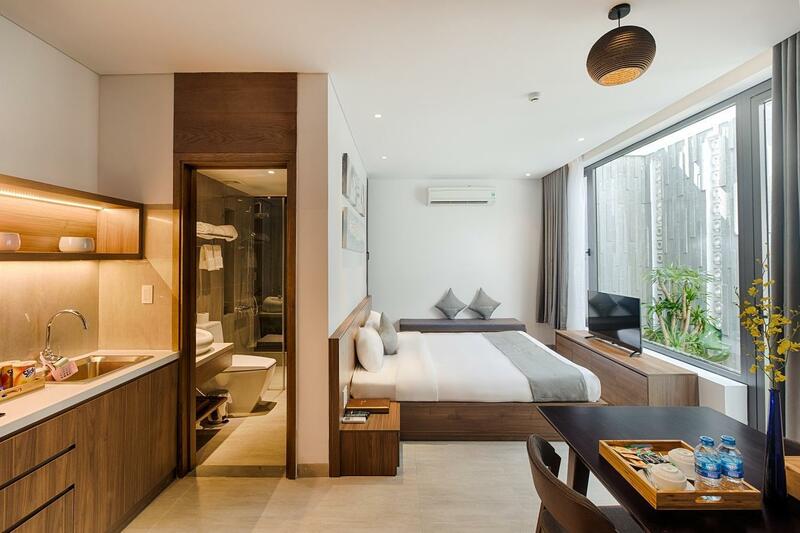 The room is perfect for couple and family as they have a small kitchenette in there. Warm and cozy room. The room is big, nice and clean but it quite stink. I don’t know it came from bathroom or not. Lastly, the reception cannot speak english so it hard to communicate. There was a used towel hanged in the wardrobe, one of the pillow had smell suspecting someone had slept on the bed before our check in. Breakfast very bad. We had breads served with mold found on the bread. And no butter or jam served. 안네데스크의 여직원이 상냥하고 친절해요. 웃으며 반겨주고 웃으며 설명해줘요. 숙소가 이쁘고 깨끗합니다. 조리도구가 있어서 간단한 요리가 가능해요.